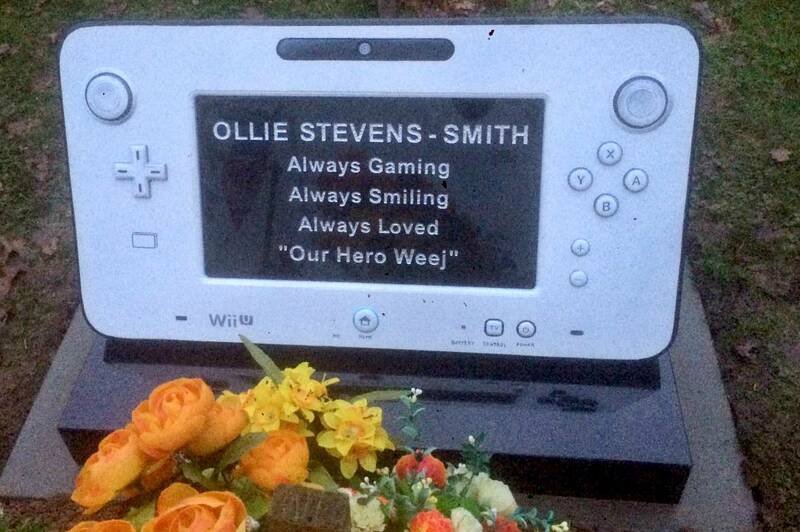 A bespoke memorial based on a WII U game console. 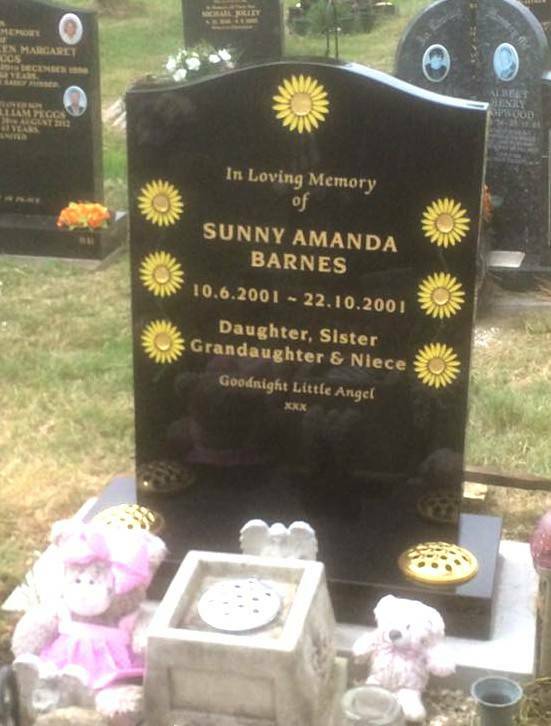 A dark grey granite headstone and mini kerb set with silver inscription and a purple clematis design. 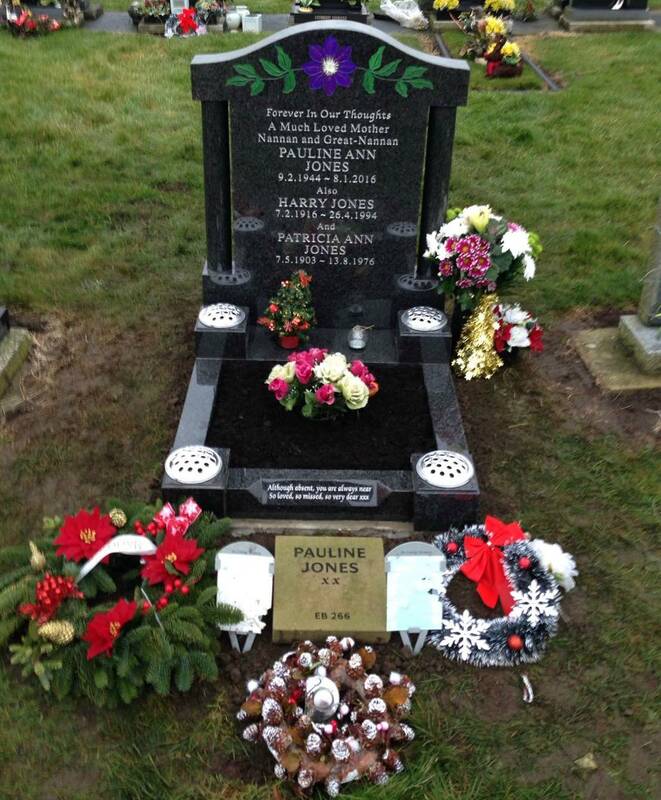 A bespoke black granite full memorial with steps and a winding path, including a vase, candle box, flower container, blue chippings and a photoplaque. 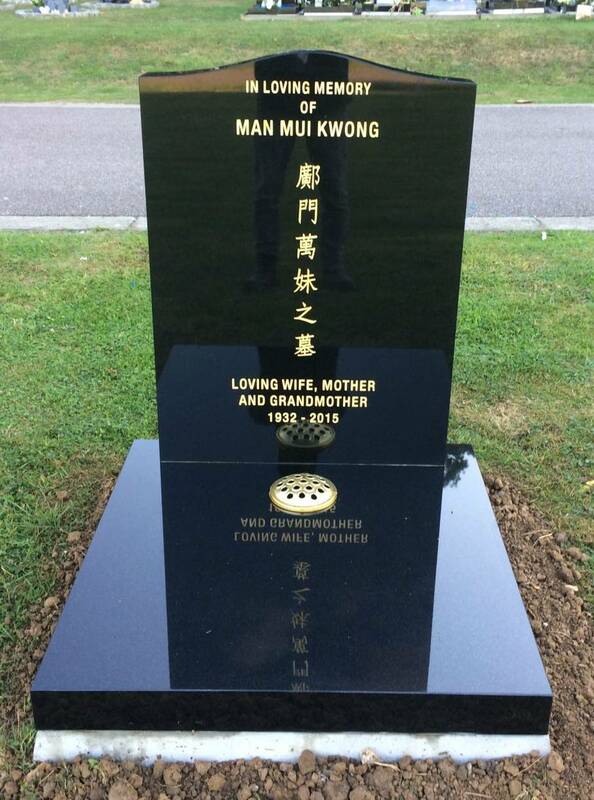 Black granite headstone and ledger with gold chinese inscription, carefully handcarved to ensure the message is accurate. 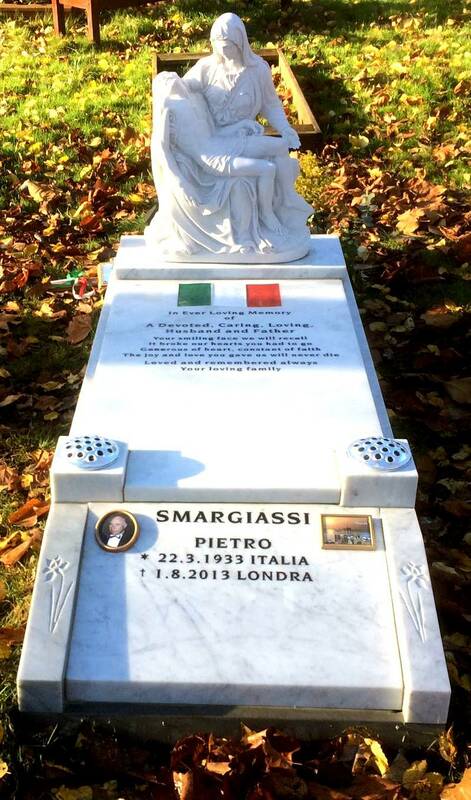 A Marble full memorial with pieta statue, photoplaques and painted italian flag. 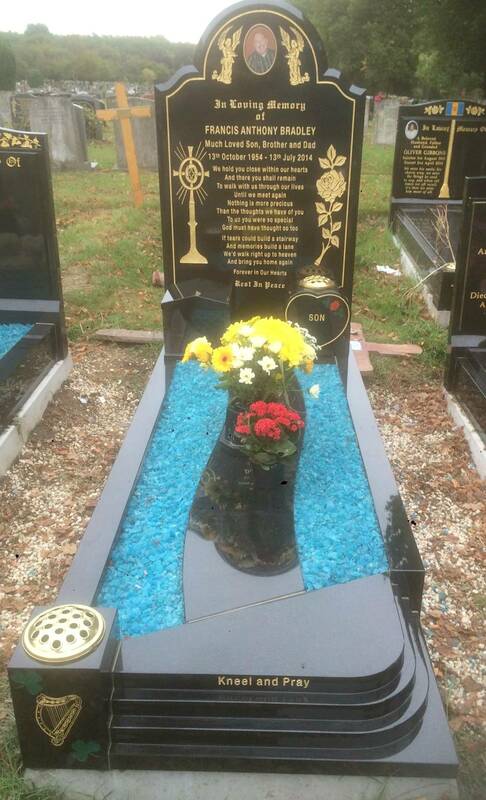 Black ogee shaped headstone and base with custom painted sunflowers. 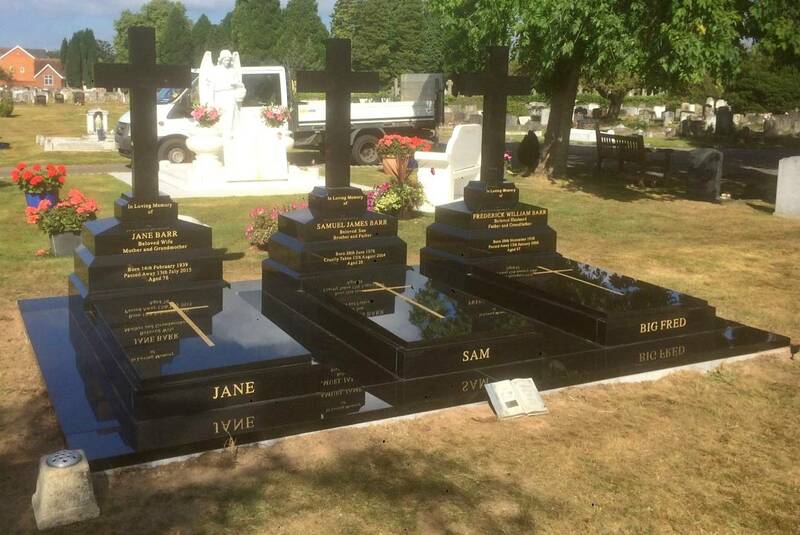 Triple memorial with all polished black granite pathways.